Speedboat Transfer to Mentawai Surf Retreat: Upon arrival in Padang you will be transported to Nyang Nyang Island via comfortable speedboat. The island lies 135 kilometers (70 miles) off the coast of Padang. Transfers typically take 4.5 hours, however they are weather dependent and can take longer. 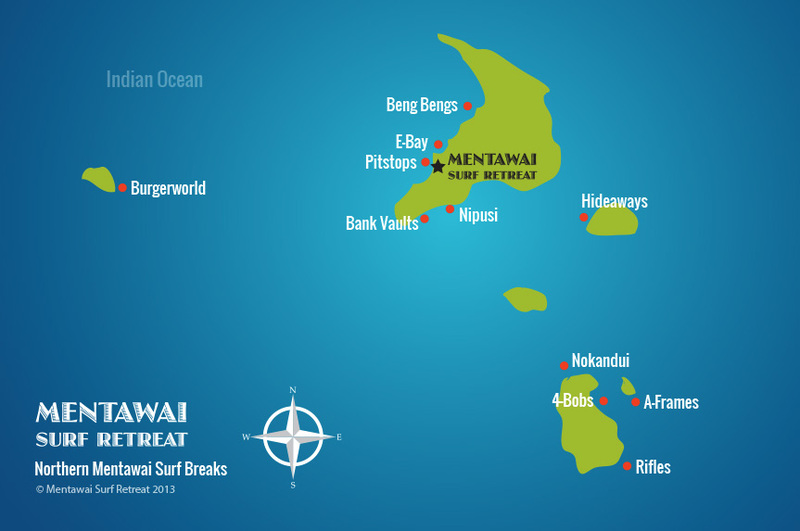 Getting to Mentawai Surf Retreat is a combination of air, land, and sea transportation. Once you land in Padang, our helpful crew will pick you up and take you to your overnight accommodation in the city, or directly to the speedboat out to the retreat. Don’t hesitate to contact us for assistance on booking your flights! Transfer directly from Singapore to Padang is no longer an option. Guests must transit through Jakarta. Please reference below for suggested accommodation if your flight plan requires an overnight stay in Jakarta, Singapore, Kuala Lumpur or Padang. 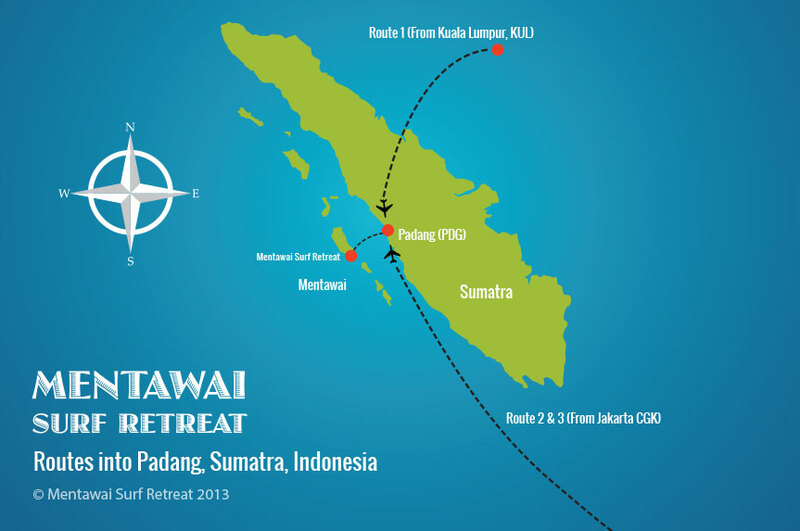 MSR can assist with booking accommodation in Padang. Please do not hesitate to contact with questions.